My Favourite Foundation I Am Using For Months! 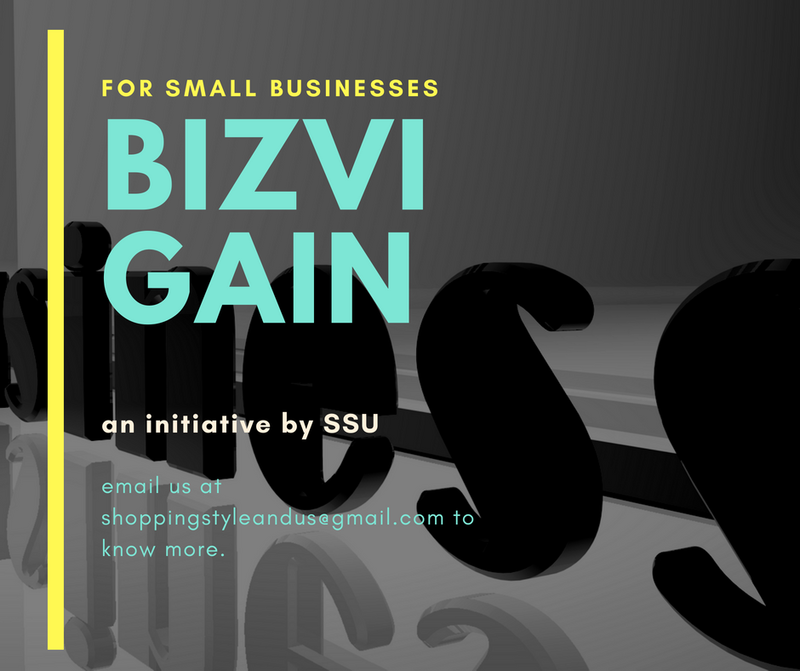 - Shopping, Style and Us Shopping, Style and Us: My Favourite Foundation I Am Using For Months! Home / Beauty / Drugstore Products / Foundation / Maybelline / Maybelline Fit Me / Products Under Rs 600 / Review / My Favourite Foundation I Am Using For Months! My Favourite Foundation I Am Using For Months! There are a lot of motivational quotes which will stand true and I could be used as an example in support of those quotes. Some of them are - Never say Never (not Justin's song, come on you guys!! ), Never Give Up, There will be a day when you'll look at your past and laugh how much importance you gave to certain things etc. etc. etc. Because if go check out the archives and read some makeup posts, you'd know how often I mentioned that I am not a foundation girl, how wearing a foundation makes me uncomfortable, I don't like heavy foundations - blah blah blah. 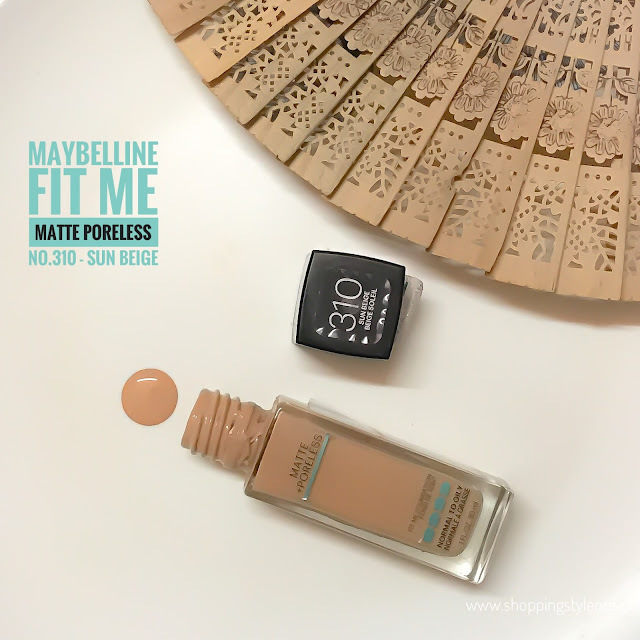 Maybelline Fit Me Matte Poreless Foundation (Shade - Sun Beige) is a favorite of many and let's add one more and that's me! A light weight foundation that sets on my skin and really makes my pores vanish. The USP for me is that as the time passes, it makes my skin more natural and glowing. I need only 2 pumps, 7 dots on the face and it spreads evenly on my face that is already primed with my moisturizer. Almost scent free, "sun beige" spreads on my face and hides many small imperfections so quickly that it has become my go to foundation for office-wear. Creamy, slightly runny, but so pigmented that gives normal to medium coverage. Build it if you want without a cake face. The wear time of the "Fit Me" is 6-7 hrs for my oily, sensitive skin without making it look patchy, oily or dry. 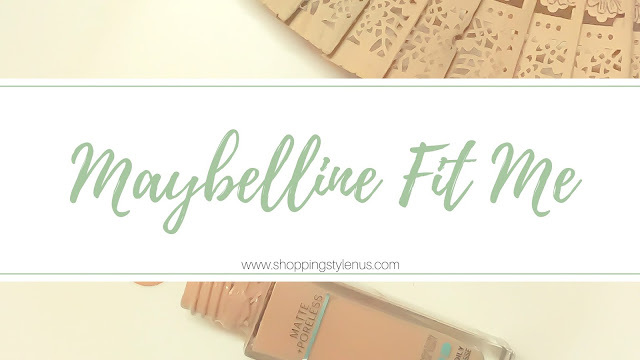 Maybelline Fit Me Poreless foundatons are non comdeogenic and made for Nortmal to Oily Skin. It didn't cause me any side effects or reaction. Fit Me Foundations are favourite of many for not just one or two reasons. An affordable foundation that will keep your skin hydrated, poreless and hide the imperfections without hiding your skin and it does what it claims. For me, it makes me comfortable wearing it on daily basis and that's more than enough to say how good it could be. If you are someone who want to try makeup and wearing foundation but don't know where to start - this is the best foundation you could start with. Which is your go-to foundation?